The Virtual Knowledge Centre (VKC) is an online web portal designed for sharing knowledge and for supporting the development of the Blue Economy in the Mediterranean. It was created to enhance the consolidation and sharing of general, technical and sectoral information related to marine and maritime affairs. Through a user-friendly interface, it allows to identify projects, stakeholders and Knowledge Management Systems (KMS, i.e. 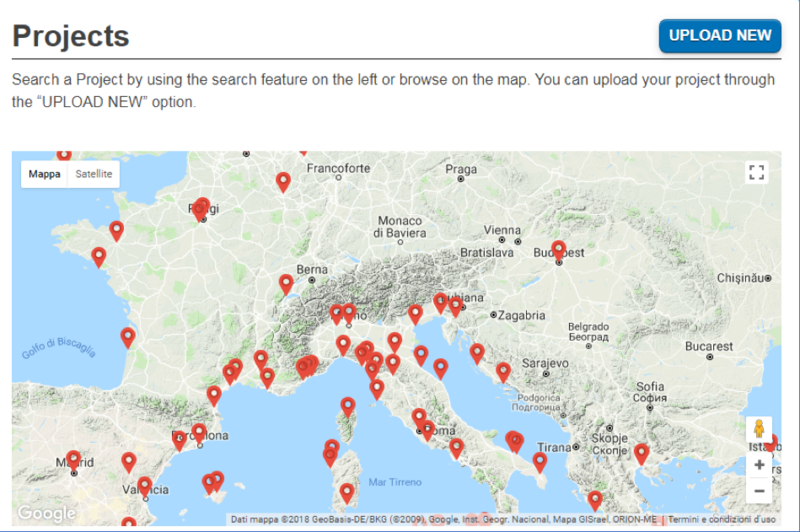 repositories for storing and sharing information developed by specific organisations, networks or partnerships, such as database, repository of maps, etc.) relevant to Blue Economy and related maritime topics, mostly focused within the Mediterranean context. Furthermore, it includes links and news on Blue Economy related topics such as maritime education programmes, maritime policies, funding sources, etc. It is regularly updated with information selected by VKC staff. Moreover, stakeholders can submit information on their projects and initiatives in order to improve, disseminate and widen the impact of their activities and to extend their network and partnerships. Which are the existing stakeholders, projects and Knowledge Management Systems relevant to Blue Economy within the Mediterranean context? Which are the main funding sources, maritime education-training institutions, policies and regional strategies relevant to Blue Economy in the Mediterranean? The Virtual Knowledge Centre (VKC) was instigated by the European Union, the European Investment Bank and the International Maritime Organization to provide a centralized web-platform for marine and maritime information and to improve synergies across different initiatives and projects to facilitate coordination and cooperation in the Mediterranean region. The original mandate to develop the framework for the creation of a VKC was provided in the context of the “The Integrated Maritime Policy for the Mediterranean” (IMP-MED) project (2011-2013), funded by the EC EuropeAid Cooperation Office (AIDCO), in cooperation with DG MARE, which sought to provide opportunities to nine southern neighbourhood States in the Mediterranean (Algeria, Egypt, Israel, Jordan, Lebanon, Libya, Morocco, Palestine, Syria and Tunisia) to engage in and obtain assistance for developing integrated approaches to marine and maritime affairs. On November 2017, the Union for the Mediterranean (UfM) Ministerial Declaration on Blue Economy tasked the UfM Secretariat to develop further the VKC to strengthen coordination and cooperation in the area of maritime affairs in order to improve maritime governance for the Blue Economy in the entire Mediterranean Sea. The UfM is an intergovernmental organisation aimed at bringing together the 28 EU MS and the 15 southern and eastern Mediterranean countries, to enhance regional cooperation and dialogue on a wide range of topics (including blue economy) in the Euro-Mediterranean region. a common and coherent framework, bearing in mind regional specificities of the Mediterranean, to enhance exchange and disseminationof knowledge, networking and capacity-building. The VKC structure includes three web areas enabling to browse and visualise information on: stakeholders, projects and KMS (defined as organised systems aimed at collecting, elaborating and disseminating information, such as database; IT solutions to share forecast and monitoring system outputs; repository of maps, reports and guidelines). Each area presents the same approach and structure for obtaining and providing information. A search functionality to allow users to query and extract the information by making use of filters, structured in various category, including macro-themes, geographical coverage and intended users. An upload facility, to allow users to upload information on new KMS and projects and register as Blue Economy stakeholders. The upload facility allows users to autonomously enter the information they consider relevant; all information entered by users are inventoried on the web portal after VKC staff’s validation. The VKC website can be visualized in French, English and Arabic depending from user linguistic preference. News and information on next events relevant to Blue Economy in the Mediterranean context. The VKC is a dynamic web-site which can be further expanded with new information and sections. A specific function allows users to upload new KMS and projects, and register as Blue Economy stakeholders. VKC interface and the approach adopted for its implementation can be replicated and expanded to other geographical contexts and maritime topics.